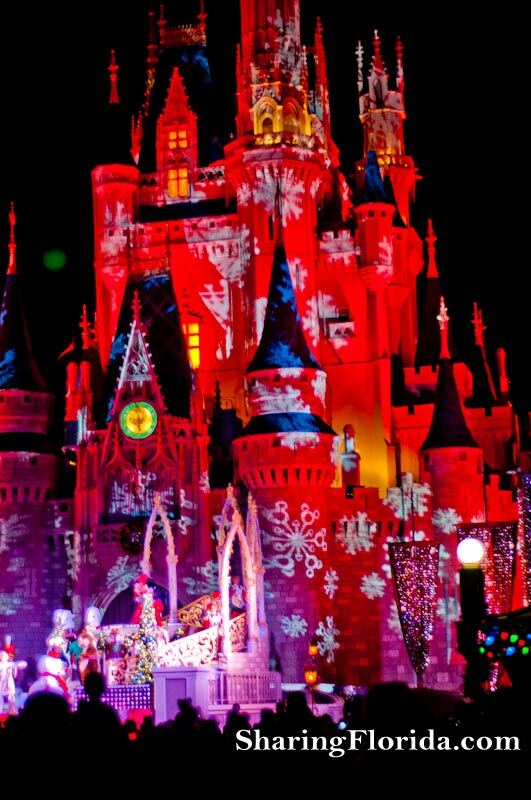 Photo taken just before the Christmas parade at Disney World. 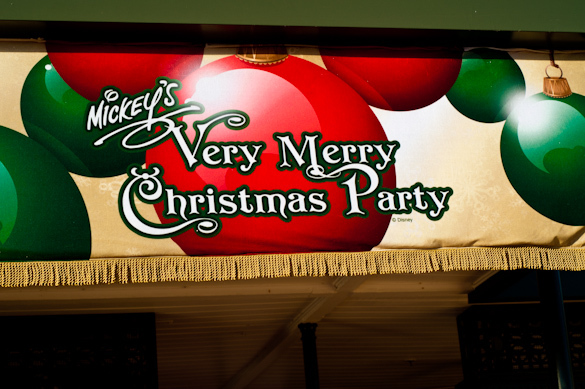 The show featured Mickey Mouse and even a dancing snowman. 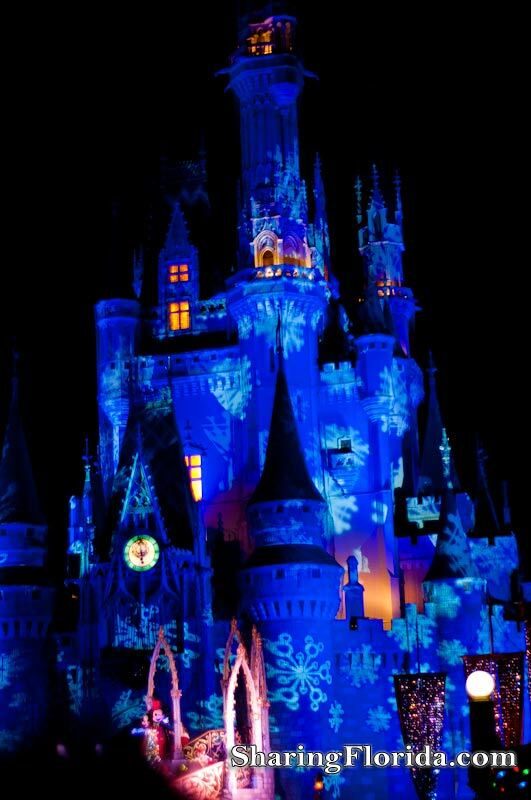 Near the end of the musical presentation the castle was alternating colors while snow flakes were projected onto the castle surface. Right after the musical, the parade began, and passed in front of the castle, heading down the center of the Magic Kingdom. Ending the parade with Santa.